'Aquaman' has earned more then $250 million ahead of its US release later this week. The highly anticipated blockbuster – which stars Jason Momoa in the fresh adaptation of the classic DC Comics superhero – hits the big screens in the states on December 21, but it is already making waves across the rest of the world. As reported by Variety, it pulled in $126.4 million over the weekend from 43 territories, putting its global total at $261.3 million. 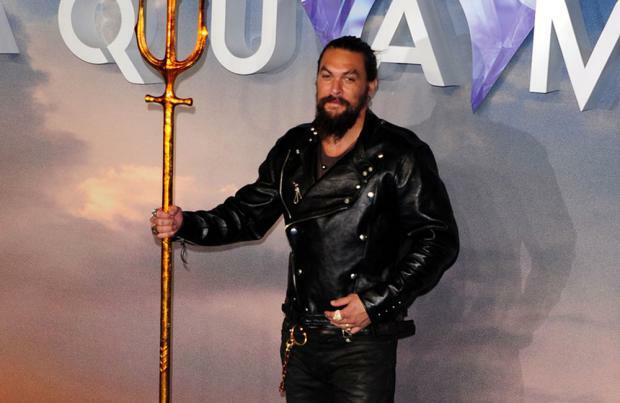 While movie fans in the US have to wait a few more days to see the film, it seems they're not alone as leading man Momoa revealed he is also yet to watch the movie. because he's been waiting to watch it with his children. The Hollywood star – who has kids Lola, 11, and Nakoa-Wolf, ten, with his wife Lisa Bonet – said: "Here's the thing – I have two babies aged ten and 11. "They were on set for the whole filming and they made me promise them that I wouldn't watch it until I can watch it with them. "I want to share it with my children and sit and hold their hands – it's a rare moment for a father and generally, they can't watch the things I do!" Meanwhile, earlier this month it was reported that Warner Bros. is already discussing plans for a possible sequel to the superhero film – although nothing is certain at this stage. A writer hasn't yet been commissioned for the sequel to 'Aquaman' – which also features the likes of Amber Heard and Nicole Kidman and has James Wan at the helm – but internal talks have already been opened.